Syntero accepts a number of payer sources including private insurance, Medicaid, Medicare, self-pay, and a sliding fee scale for uninsured Franklin, Delaware and Morrow County residents. Syntero will make every effort to verify your benefits and match you with the appropriate provider. It is your responsibility to make sure the provider you see is in-network with your insurance. Please check with your insurance company regarding coverage, co-pays, and deductibles on services sought prior to your first appointment. Private insurance providers may be limited. Many people have questions in terms of what is covered and what may be owed after insurance is billed. Here is an explanation of the terms on your service agreement. Sometimes your behavioral health benefits are carved out from another company. For example, you may have Blue Cross/Blue Shield, but Magellan actually covers behavioral health, so your service agreement will say Magellan. Many plans have a deductible. A deductible is a fixed dollar amount during the benefit period – usually a calendar year – that an insured person pays before the insurance company starts to make payments for covered services. If you have a deductible that needs satisfied, that will be indicated on the service agreement and payment will be expected before services are provided. The number you see on you service agreement is the yearly deductible but will not reflect how much you have left to pay. If you are curious about how much of your deductible has been satisfied year-to-date, please contact your insurance company. You may have a co-payment, a coinsurance, or both. Copay is a fixed dollar amount due at the time services are rendered. The insurance company then covers the remaining cost. Coinsurance is a percentage of the services you are responsible for once the deductible has been satisfied. If the service agreement indicates you have a 20% coinsurance, which means the insurance company will pay 80% and you will be responsible for 20% of the cost of services. This will be due at the time services are rendered but will be billed to the insurance company for final verification of cost. Please be aware that different services may be covered at different rates. For example, you may have a copay when you see your primary care physician, but you must pay a deductible and coinsurance for behavioral health. Please contact your insurance company if you have further questions. Syntero provides outpatient mental health as well as alcohol and substance abuse disorder and prevention services to clients of all ages. Syntero provides psychiatric services, integrated health care, individual and family counseling, prevention services for children, teens, and young adults, assistance for seniors, crisis response services, support and therapy groups, trauma treatment, and community support services. We offer culturally sensitive LGBTQ+ counseling and other programs. Please see our Programs Section for a detailed description of services provided. Do you have counseling for young children? Syntero does offer counseling services for young children at both locations with several qualified clinicians trained and proficient with this age group. Do you have a psychiatrist taking new clients? Syntero has psychiatry services that are available only for current clients engaged in counseling or case management services with Syntero. Syntero does not accept referrals for psychiatry services only. We believe that therapy combined with psychiatry and medication management is more effective. Can I get a Domestic Violence Assessment? Syntero does not offer this service. Potential sources of help in the area might be The Center for Safety and Healing at Nationwide Children’s, Crossroads Recovery, or The Ohio Domestic Violence Network. Do you offer Substance Use Disorder (SUD)assessments for Probation Court? Syntero does offer SUD assessments. These assessments can take up to three appointments. Call 614.899.5722 ext.133 for more information or to schedule an assessment. Do you offer Cognitive Behavioral Therapy? Syntero’s clinicians utilize a number of evidence-based treatment models including Cognitive Behavioral Therapy (CBT), Dialectical Behavioral Therapy (DBT), Family Systems Theory, Solution Focused Therapies and EMDR, to name a few. To schedule an appointment contact Syntero’s Intake Department at 614.889.5722 ext 133. Please contact the Front Office by phone at the location where you are scheduled. For the Dublin location – 614.889.5722. For the Mill Run location – 614.457.7876. For the Lewis Center location – 740.428.0428. For Northeast – 614.600.2708. Syntero kindly requests at least 24 hours notice for cancellations. Can I schedule an appointment for my adult child? Children over the age of 18 must schedule appointments for themselves. An adult child may call the Intake Department and give permission for a parent to schedule an appointment on their behalf. Syntero is accepting new clients. The wait time for an initial appointment will vary based on the type of service needed, insurance, and payer source. Syntero makes every effort to schedule appointments with the appropriate provider at the earliest possible opportunity. 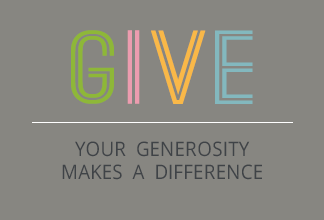 Syntero is a non-profit organization and keeps fees as minimal as possible. Fees for services are often established by your insurance provider. Co-pays and deductibles must be paid at the time of service. When funding allows, Syntero may be able to provide some services at a subsidized rate to Franklin, Delaware and Morrow County residents whose monthly gross income and dependents fall within the public subsidy guidelines. How do I get help with billing questions? Contact the Billing Department at 614.526.8366 or 614.889.5722 ext429. If you have to leave a message, your call will be returned within 48 business hours. What if I have a crisis after-hours? 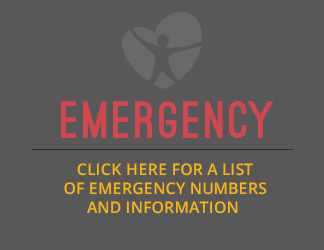 If you are in crisis when the agency is closed, call 911, go to the nearest emergency room, or Franklin County residents can contact Netcare Access at 614.276.2273. Syntero’s email and phones are NOT monitored when the agency is closed. If you need to talk to someone immediately, DO NOT send an email or leave a phone message. You may also click on the “In Crisis Chat Now” red tab on the left side of every page.